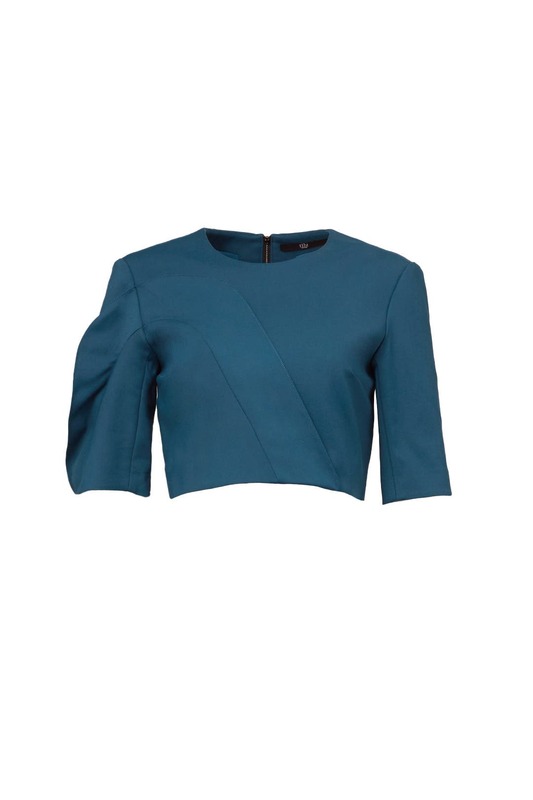 With cool tailoring, this quarter-sleeve Tibi top will luxe up your look. Pair it with the matching Sydney Skirt and gold cuffs for a put-together look. 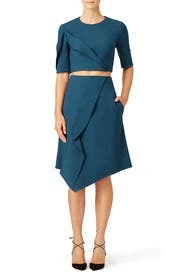 Teal crepe (48% Cotton, 45% Polyamide, 7% Elastane). Three-quarter sleeves. Crew neckline. Exposed back zipper. Imported. 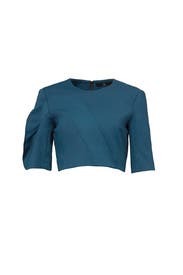 This top is very structured and of a thicker material. 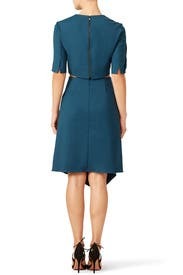 The sleeves are a unique length and are slightly hard to maneuver in. You can also wear this top with a standard bra, while being able to show some skin with the cropped length. I recommend going up a size if you are larger busted. 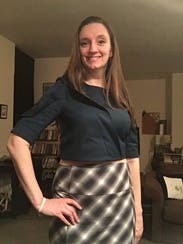 I never wore a crop top before but I decided to push my fashion boundaries a bit when renting this top. Tried to rent it with the skirt, but it wasn't available so I had to improvise with something from my closet. I wore this to work and was very self conscious initially but received lots of compliments and now I'm perfectly comfortable wearing it. Will definitely wear this again and try some of the other crop tops available on RTR.